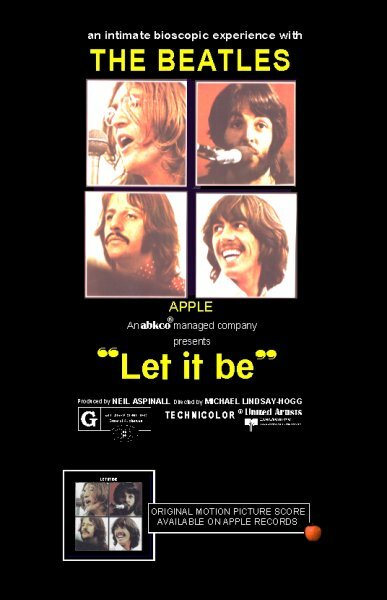 Not initially intended as a feature film, Let it Be was indeed eventually released in theaters in May 1970, more than a year and three months since the end of the Get Back sessions. Paul became the final member to quit the band a month earlier, and famously, none of the Beatles attended the world premiere in New York nor the UK premiere. Also, everyone was suing each other. But ancient history was relevant to the Academy, who gave The Beatles — whatever that was anymore — the award for Best Music, Original Song Score over the soundtracks to The Baby Maker, A Boy Named Charlie Brown (one of this author’s chidhood favorites), Darling Lili and Scrooge. Of course, the Beatles wouldn’t be at the ceremony to pick up what would be their lone Academy Award (A Hard Day’s Night had two nominations in 1964, lost both). That honor would go to Quincy Jones, who had already produced a track on Ringo’s Sentimental Journey and would more than 10 years later work with Paul. (Decades later, the two would be in the news together again). Paul’s absence, apparently, wasn’t for lack of trying by Jones, who said he visited Macca — while he was recording RAM in New York — and tried to convince him to come out for the ceremony. Paul would later get two nominations as a solo artist for best song (“Live and Let Die” in 1973 and “Vanilla Sky” in 2002), but he went 0-for-2. And with that, John, Paul, George and Ringo’s trophy cases only had the lone Oscar for Let it Be — provided Quincy Jones gave it to them.